Bruce Peabody is a Professor of Political Science at Fairleigh Dickinson University in Madison, New Jersey. He received his Ph.D. in Government from the University of Texas at Austin and his B.A. (with Honors) in the College of Social Studies at Wesleyan University in Connecticut. He was promoted to Full Professor in 2010 and was chair of the Department of Social Sciences and History from July 2007-June 2010. Prof. Peabody is the co-author of Short Stories and Political Philosophy (Rowman & Littlefield 2018), Where Have all the Heroes Gone: The Changing Nature of American Valor (Oxford University Press 2017) and the editor of The Politics of Judicial Independence: Courts, Politics, and the Public (Johns Hopkins University Press, 2010). Peabody’s areas of expertise include judicial independence, the separation of powers, and the intersection of popular culture and American politics. Peabody also has a longstanding interest in how elected officials and members of the public engage and interpret our Constitution. He has written for numerous blogs such Talking Points Memo Cafe, Big Think, and The Good Men Project, and his work has been cited by the Washington Post, New York Times, Wall Street Journal, USA Today, and the Congressional Research Service, among other sources. 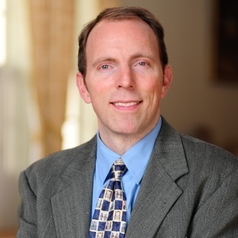 In 2012, Prof. Peabody received the Distinguished Faculty Award for Research and Scholarship from Fairleigh Dickinson and in the same year he also received the Outstanding Faculty Member Award awarded by the Student Government Association (an award he also won in 2004). In 2004 Peabody received the Becton College Teacher of the Year award from his faculty peers. Before joining Fairleigh Dickinson, he served as a teaching assistant at Harvard University and a visiting researcher at Harvard Law School.